How to define a study area by hand-drawn shape is illustrated. This is an image of the new Business Analyst Online interface. Live, dynamic thematic mappingEasily update and change mapping elements with live thematic mapping while viewing the changes as they occur to provide immediate, relevant information, and ensure that the map results fit the requirements of every project. To further customize maps, the user can add more layers of information, such as major roads, competitor locations, and their own customer and sales data. Maps are quickly displayed with more cartographic detail than many standard Internet maps. For example, users can enlarge their maps to the size of their desktop, take screen shots, and instantly paste them into their presentations or documents. Users can save time and money by being able to quickly produce one set of boardroom-ready materials. Flexible study area definitionsCustomizable projects let users include ring, drive-time, hand-drawn, and geographically defined study areas. The speed and flexibility built into Business Analyst Online enable users to use these definitions to perform numerous what-if scenarios that help them locate optimal sites, the most profitable customers, and the best markets. 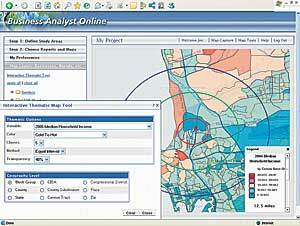 Business Analyst Online is hosted by Esri, freeing organizations from managing data or technology updates. Demand for the Business Analyst Online reports and maps has steadily increased as users across many industries recognize the value of accurate and current business, consumer spending, demographic, and lifestyle data. 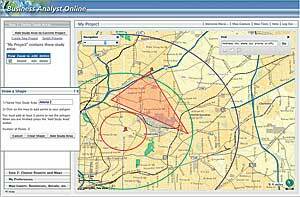 Professionals in economic development, real estate, retail, urban planning, and financial services frequently use Business Analyst Online to analyze markets, then determine specific product and service offerings. Reports are now available in Business Analyst Online. Individual reports and maps from Business Analyst Online can be ordered via credit card or from a subscription plan that can be customized to more closely fit requirements. 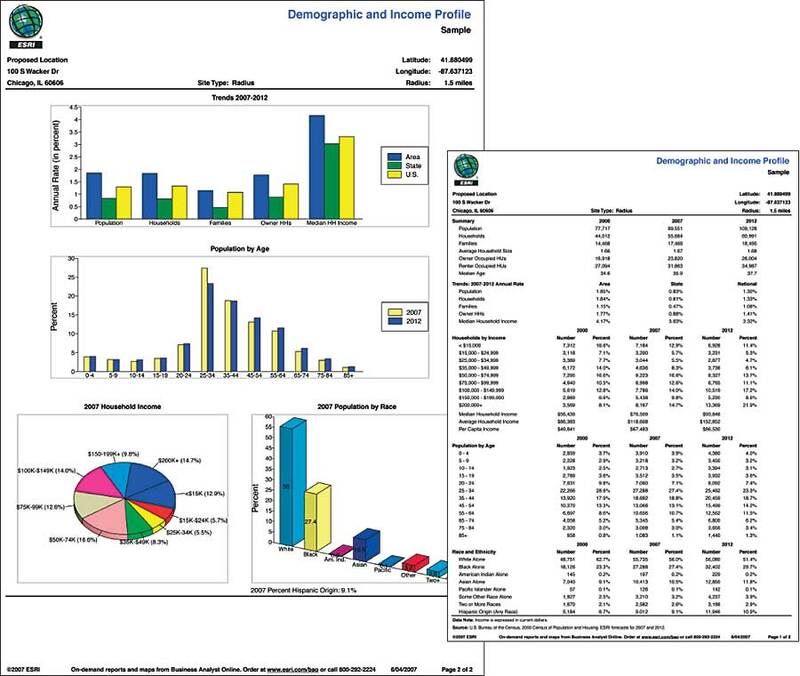 Reports and maps are delivered in minutes directly to an e-mail address in PDF or Excel format. Enjoy unlimited use of reports, maps, and interactive features for the subscription period. Create, update, save, and share projects with others in their organization. 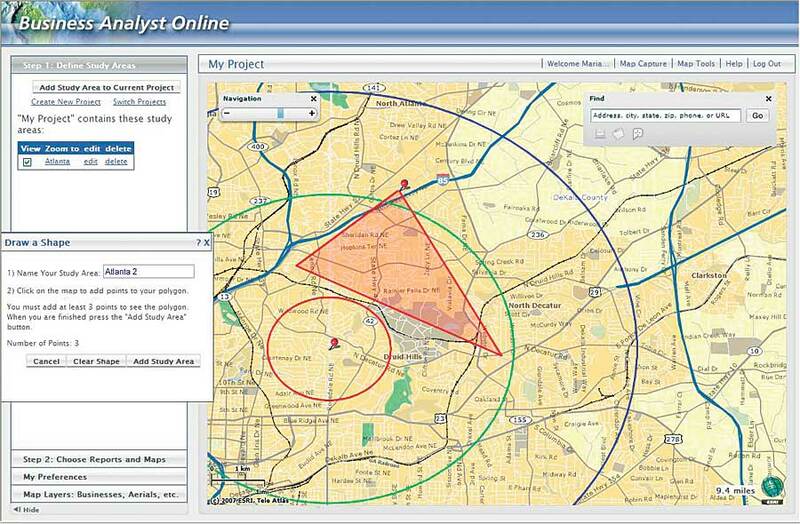 Personalize reports and maps with their company logo. Upload and save territories and trade areas. The Basic subscription includes unlimited access to 14 of the most popular reports and maps on Business Analyst Online. 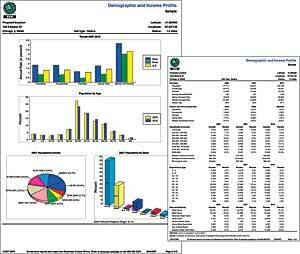 The Market Profile report, the Demographic & Income Profile report, the Housing Profile report, and a standard site map are included in the Basic subscription. The Premium subscription includes all the content in the Basic subscription plus 20 more reports and maps. Additional reports and maps in the Premium subscription include the Graphic Profile report, the Community Tapestry Segmentation Area Profile report, and an interactive thematic map. A "Day Pass" to Business Analyst Online entitles you to be a Basic subscriber to Business Analyst Online for eight hoursan entire business dayand design and print five free reports and maps specifically for your area. To order your Day Pass, visit www.esri.com/bao. 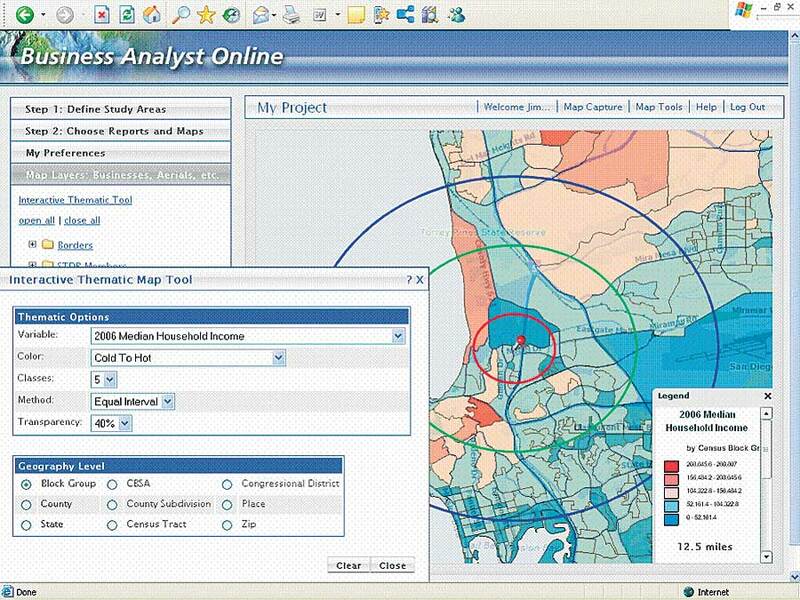 For more information about Business Analyst Online, visit www.esri.com/bao or call 800-292-2224.